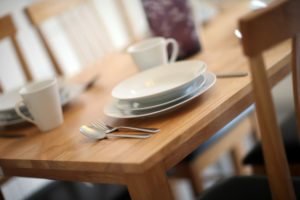 When you sign up for a YHN tenancy you can choose if you need furniture. Each of our products has a points value so you can choose which products suit you best. When you have finished choosing your products you simply add up the points total to see how much you will pay per week for them. Remember, the weekly cost is added to your rent account and can be covered by housing benefit. Your Housing Officer will talk you through your options and will provide us with all of the information we need to arrange delivery and installation of your products at a date and time that is convenient for you.